Satisfying Las Vegas appetites since 1967. 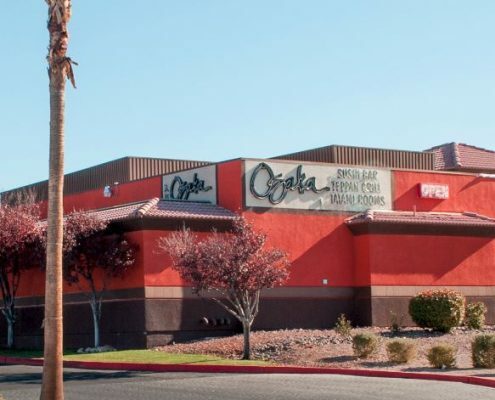 Osaka was the first Japanese restaurant in Las Vegas when it opened in 1967. Now with two locations, West Sahara and Henderson, it has become a home town favorite and withstood the test of time. It is currently operated by the second generation of the Nakanishi family. Sushi Bar, Teppanyaki Grill Catering and More! Osaka has built its reputation in carrying only the finest in fresh fish and its ability to create a variety of rolls which satisfy even the most adventurous of tastes. 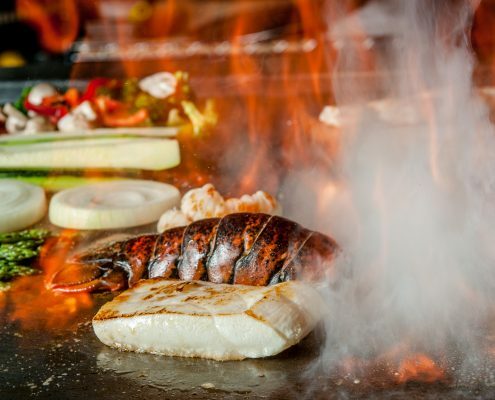 Its teppanyaki grill chefs are masters of their art, and the full, authentic Japanese menu has something to please everyone. 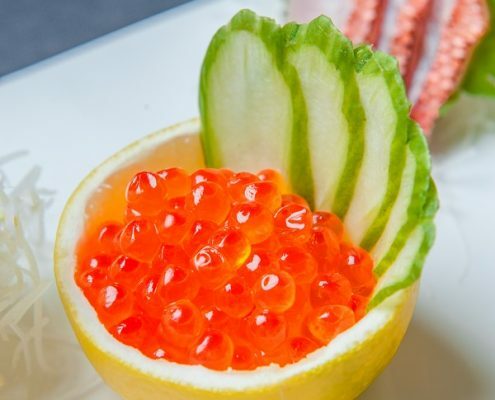 Osaka Japanese Bistro in Las Vegas was voted by Japan’s largest weekly magazine, the Asahi Shukan, as one of the 50 best Japanese Restaurants. Osaka was the only one outside of Japan given this honor. 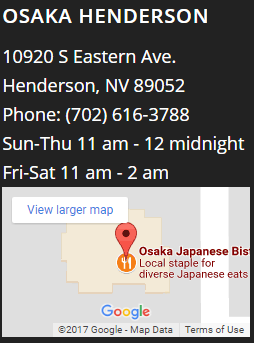 Osaka Japanese Bistro is also a 20-time winner of the “Best of Las Vegas” Award. Osaka’s upscale and conveniently located Henderson location features an airy and open modern design, as well as an onsite art gallery and performance stage with weekly live jazz performances. Of course it also features a large sushi bar, tatami rooms and teppan grill. Close to the Strip, experience classic Osaka. Located on Sahara Ave, a few blocks off the Las Vegas Strip, enjoy a classic Las Vegas experience in our original location, just like the Rat Pack and other legendary Strip entertainers remembered it. Enjoy a late night snack at our friendly sushi bar, dine in a private tatami room or enjoy a live, flaming-hot teppan yaki grill experience. Feed your crowd with the best! Our catering staff will prepare and deliver any quantity fresh and authentic dishes, from sushi to udon, for your party, wedding, or other event. 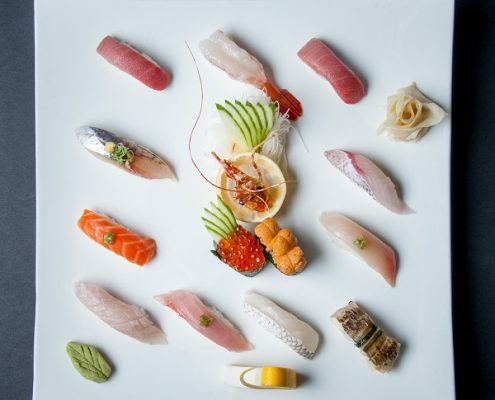 We also provide fresh sushi for local restaurants and institutions. Give us a call for great food and great service for your catering needs. Went here for the first time and absolutely love! They have a HUGE menu and quality fish. Tasteful, fresh and clean. Service was also great. Server was kind and helpful, all staff were attentive. Little pricey but definitely worth it. This is a review of catering, which I hired for a party at my house about a month ago. I wasn’t sure what to order but I knew I wanted sushi/japanese. They brought a large sushi boat, veggie tempura, salad, fried rice, edamame, salad and all the sides stuff like ginger, wasabi, and sauces. They even brought an extra side platter of vegetable sushi for the vegetarians/people with allergies. It was so yummy, gorgeous, and although the sushi lasted pretty much for the duration of the party there were only a few pieces left at the end. Everyone loved it. The price was very reasonable too. 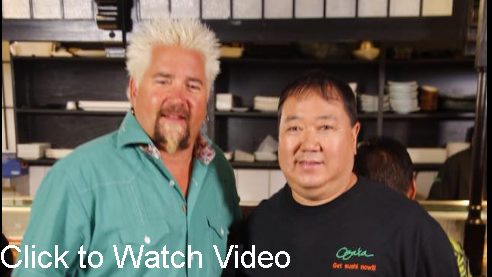 I highly recommend them if you want sushi at your party. Quite possibly the best nigiri I’ve had. It’s clear that they know their fish and provide great quality. The 12 piece chef’s choice nigiri was a great value at $35, with excellent amaebi, uni, toro etc. Well over $35 worth of sushi and every piece was great quality. Even the beef teriyaki that my 7 year old nephew had received excellent reviews from everyone at the table due to the quality of the meat. The service of the staff lived up to the quality of the food as well. 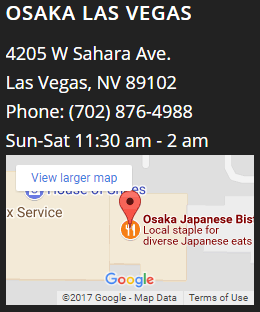 If you’re visiting the strip and want some great Japanese food, avoid the crowds and head a couple miles west on Sahara to Osaka. I’ll be going every time I’m in town.